John T. Pirie is a U.S. Coast Guard Licensed Captain. In addition to 20 years of professional chartering experience John has also worked on whale watch boats and marine research vessels during his time at Woods Hole Oceanographic Institution. As a professional charter captain John has been featured in a number of articles in magazines such as SaltWater Sportsman, Fly Fishing in Saltwaters, Saltwater Fly Fishing, Northeast Boating and On The Water. John has also filmed episodes for several different TV shows such as George Poveromo’s World of Fishing and Northeast Angling. John has been writing articles and taking photos for a number of different fishing magazines during the past 20 years. His photos have appeared in feature articles as well as calendars. During the winter John annually presents a number of fishing seminars on a diverse array of topics throughout the Northeast and continental U.S. John has been both a travelling faculty member and co-host of The SaltWater Sportsman Seminar Series giving presentations to thousands of anglers from Boston to Virginia Beach. 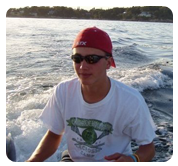 In addition to his experience as a charter boat captain John is also a full time Marine Biology teacher at the oldest boarding school in the country, The Governor’s Academy in Byfield, Mass. In addition to teaching john also coaches lacrosse and football. In 2008 John was the head coach of the German National Lacrosse Team that competed in the World Games in Coquitlam, B.C. Clients fishing with John do more than catch fish, they learn about the fishery and techniques that will allow them to be more successful the next time they fish on their own. Many of his clients own their own boats but are anxious to learn the tips and techniques that help put more fish on the line. Class is always in session on the On-Line Charters boats so book now to reserve a prime date in one of our many excellent fisheries. Taylor Pirie has been a mate on the “Orca” since 2007. He is currently a student at Governor’s Academy. His many years on the water have made him an excellent mate who is able to teach many of the nuances specific to the fisheries we enjoy. Taylor is particularly good at working with younger kids helping them to have a great experience on the water while enjoying the fishing. Taylor works as mate on all offshore trips and is an invaluable asset to both the captain and the clients. 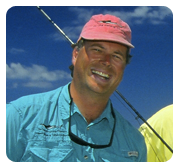 Captain Ralph Poness has worked for On-Line Fishing Charters since 1995. During his tenure he has served as both mate and captain. Ralph is an accomplished angler and fly tier. His expertise has made him an accomplished captain and a fabulous mate. Ralph does spend much of his time in the kitchen these days as the Executive Chef at the renowned Singing Beach Club in Manchester, MA.